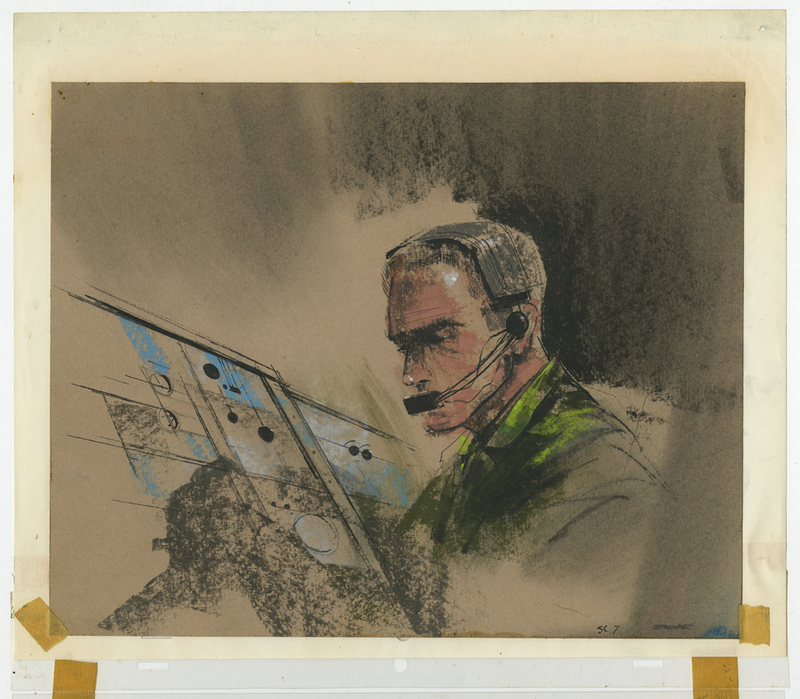 This is a storyboard concept drawing from a Vietnam War era film entitled "Rescue and You in Southeast Asia" that was produced by the US Military's top secret Lookout Mountain film studio. 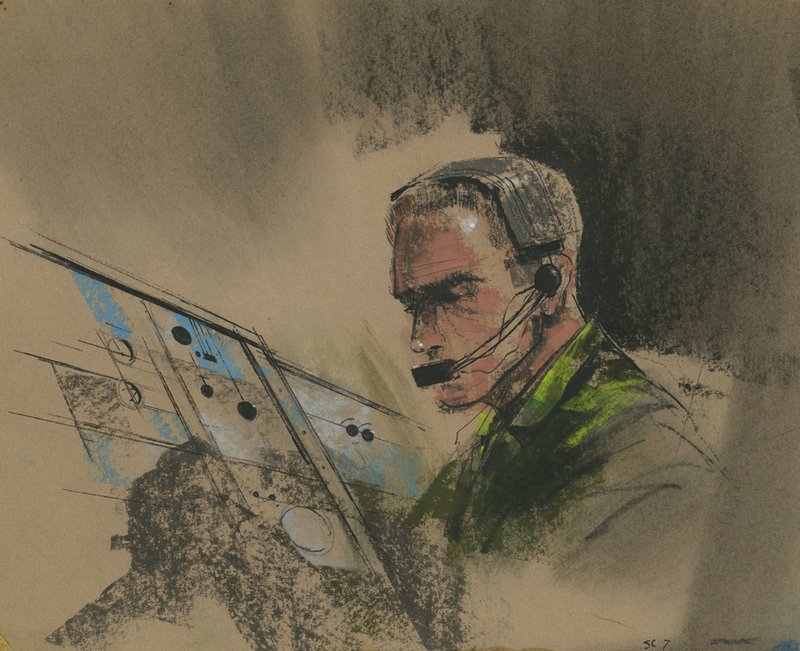 This development drawing is accomplished in pastel on colored paper and was created at the military studio. Lookout Mountain produced many films during its existence, with the late 1960s Vietnam work being the final major war effort that the studio existed to cover. 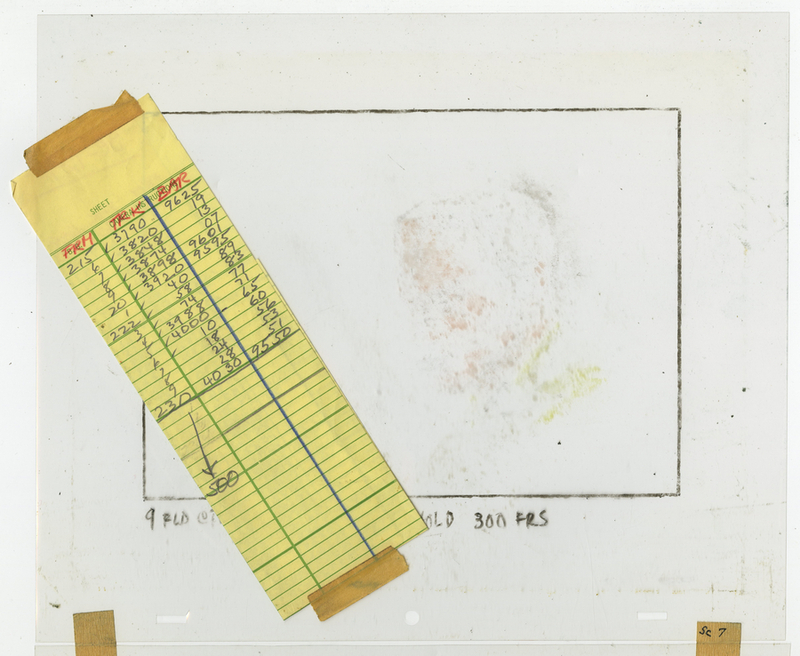 The overall measurements of the piece are 9" x 11" attached to 10.5" x 12.5" animation paper and the image itself measures 8.5" x 10.5". The piece is in very good condition.